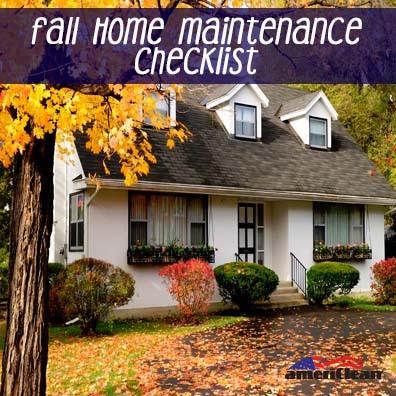 Fall is the perfect time for home maintenance. A few weekends of work before the weather really turns cold will help you get ready for winter and avoid any nasty surprises—and big repair bills—that the cold might bring. Here’s your must-do checklist for fall maintenance. Clogged gutters can allow overflowing water to damage walls, spark a rodent infestation and erode your landscaping and cause expensive water damage. To prevent a problem before it starts, clean and repair your gutters early in the fall. Once cleaned and repaired, consider adding a layer of waterproof mesh over your gutters to keep leaves out. Winter’s harsh weather can rip holes in screen doors or cause the metal to rust. Replacing a damaged screen door in the spring will cost you from $150 for a lightweight model to $225 for a heavy-duty model. To keep your screen doors intact, remove the door, clean the screen and store it in a dry place until spring. Climbing your roof to check for loose or broken shingles may not be fun, but if left unattended, small problems in your roofing can lead to major leaks during the winter as rain, hail, sleet and snow pound your home.